With the warmer weather ever nearing I though it was about time to show my body some love and give it a bit of a pamper and hydration before I'm forced to bare all. This body butter has been on my shopping list for as long as I can remember, after having lots of travel sized samples and loving it I finally caved and purchased the full size. I absolutely love the smell of this stuff, to me it reminds me of the Miss Dior fragrance and it's lush! As with most body butters it does take a few minutes to sink in but I don't mind that as my skin feels hydrated and smelling gorgeous. My skin has been awful for this last week and it is really annoying me, My HG Origins Super spot remover just didn't seem to be doing it for me this week, I don't know why? Maybe my skin has got used to it?...God knows but I had to find something to sort it out, and fast! I came across this which contains Salicyic acid and Ginger which is meant to "fight stubborn spots immediately after application", so fingers crossed it works! Again to help get rid of my pesky visitors this was a well needed re purchase. I've tried the original version (which I love) so I'm hoping this is just as good and will help clear them up without leaving any marks or discolouration which I normally get. I'm getting ready for the warmer weather and making sure I have a high SPF for my face. As I use glycolic and chemical exfoliators a lot I need to make sure I have something to protect my skin from the sun. This fluid is nothing that I have ever seen before from a sunscreen, its soooo light and watery which is great as I hate that heavy sticky feeling that some have. I haven't tried it out fully yet, just on the back of my hand but I will report back and let you know what it's like. I have heard at lot of American You Tuber's talk about this foundation a lot saying its meant to be really good, long wearing and excellent coverage. The foundation comes tailored to different skin types, I have the oily - combination one and they also do one for dry skin which is excellent in my opinion. Its the first foundation I've tried from Revlon so I'm looking forward to seeing the results, the only bad point is that it doesn't come with a pump which slightly annoys me but I'm sure I can get over it. This was a complete wild card. The term BB and CC creams mean nothing to me. I'm not the sort of person to just wear a "tinted moisturiser" so the whole concept never appealed to me at all and I still have no idea what possessed me to pick this up lol. 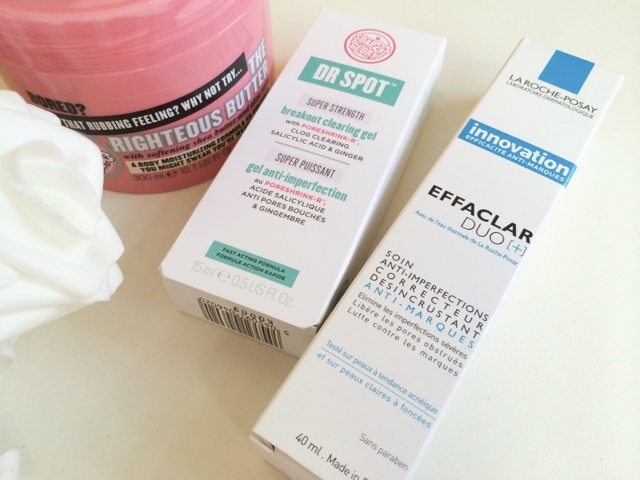 I think I've seen it floating around the blogoshere and my subconscious popped it into my basket, the whole anti redness and dark spots does have me intrigued though, so lets see.. 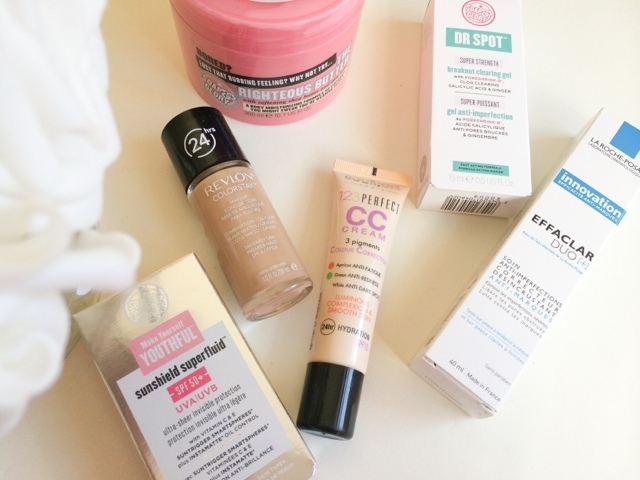 So that's my little haul, have you tried any of these already? What did you think to them? I love the Revlon foundation. I've tried so many, even higher end brands, and nothing has had a formula that works so well with my skin. Especially being so pale and having combination skin, there are few brands that even produce light enough shades that don't oxidise to a horrible orange colour after a few hours. Funnily enough, the ones I buy from the shops come with a pump, but I recently bought another bottle from eBay and, alas, no pump! It's a bit annoying but I suppose I'll get used to it. so I bought effaclar duo hoping it would help with the spots but nothing I'm afraid. You make me want to go shopping. I love what you bought in your haul. 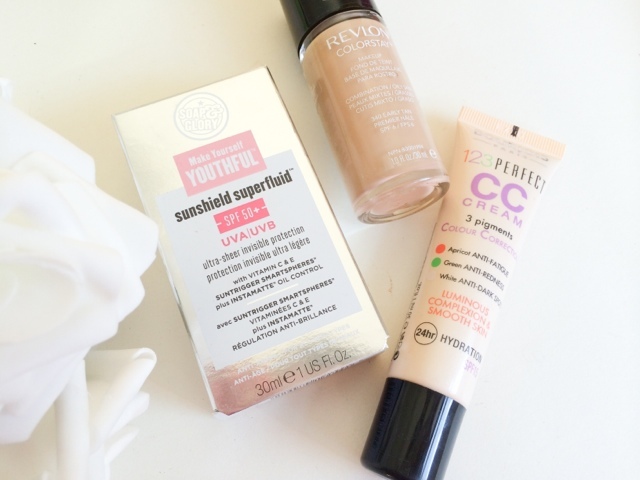 Would love to hear more about the Bourjois CC cream and the Revlon foundation. Having been loyal to the luxury brand foundations (Nars/BB being favourites) for years and being a complete snob to drugstore brands - Revlon ColorStay is the best one I've used out of the lot (especially for longevity) even better with the ColorStay powder over the top. I think you'll love it. It's worth the hype.